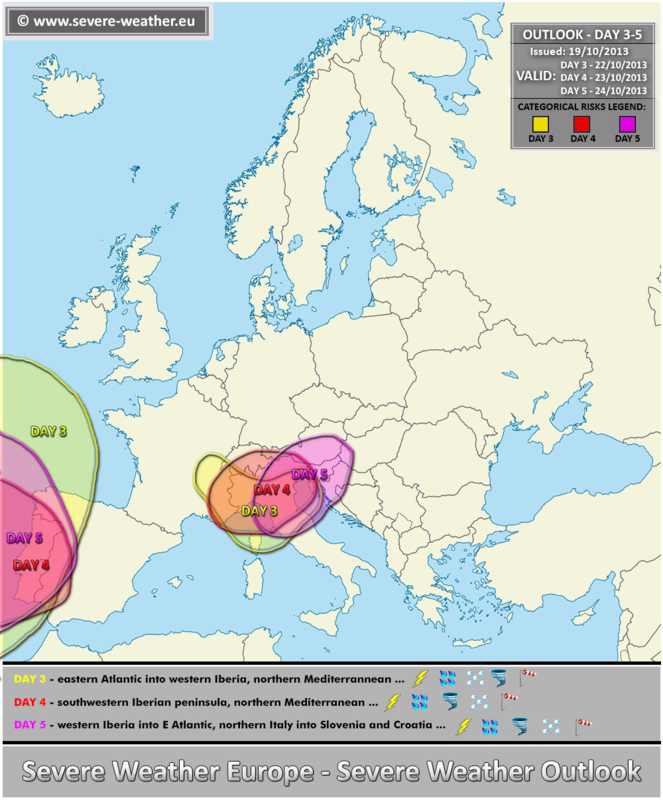 On DAY 3-5 timeframe, a large long-wave trough centered over the eastern Atlantic and western Europe will sustain favourable conditions for severe weather over SW Europe and northern Mediterranean. Strong SW-erlies will maintain warm and unstable airmass across the southern / western Europe, severe storms will be possible over parts of Mediterranean and Iberia into E Atlantic. Follow the updated details on DAY 1 and DAY 2 outlooks in the coming days.